Casselberry has the City Commission-City Manager form of government. The City Commission consists of five members, who are elected to serve four year terms. All members of the City Commission, including the Mayor/Commissioner, serve at large, meaning they represent the entire City and not specific districts or neighborhoods. 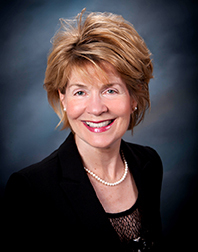 Mayor Charlene Glancy was first elected Mayor/Commissioner in August 2008. She was re-elected for a second term in August 2012 and was unopposed to win the election for a third term in August 2016. She has served as Chair of the Mayors and Managers Group of Seminole County (2009 - 2012) and has also been serving on the Metroplan Municipal Advisory Committee since December 2008. 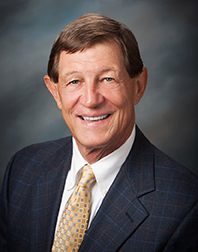 Mayor Glancy previously served on the City's Code Enforcement Board and Charter Review Advisory Committee. Mayor Glancy is past President of the Women's Club of Casselberry.and also serves on the steering committee for Casselberry Community Task Force, organized by local service organizations and places of worship to eradicate hunger and homelessness. 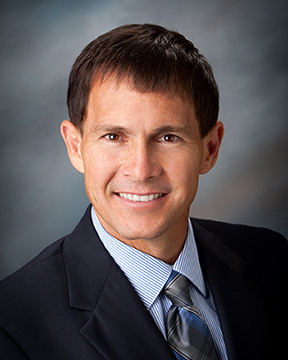 Mayor Glancy has been a licensed realtor and property manager for over 27 years. She and her husband, Dan, have been Casselberry residents since 1997. Commissioner Bill Hufford was unopposed in the August 2016 election and is currently serving his first term on the City Commission. He is the alternate City representative on the Council of Local Governments in Seminole County (CALNO), and previously served on the City’s Community Redevelopment Agency Board, Economic Development Review Board, and the Police Officers’ and Firefighters’ Pension Board. He is also Past President of Casselberry Rotary, Past President of Casselberry Friends of the Park, and Past Chairman of Christian HELP. Commissioner Hufford retired from SunTrust Banks after over 30 years of service. Currently, he serves as Deacon at Willow Creek Church. He has a BS Degree from Purdue University and an MBA from University of Central Florida. He and his wife, Colleen, have been married for over 46 years and have two adult children and three grandchildren. They have lived in Casselberry since 1980. Commissioner Mark Busch was elected as a City official in November of 2018 and is currently serving his first term on the City Commission. 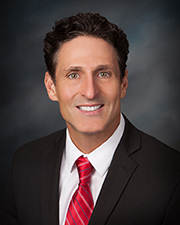 He is a current board member for the Casselberry Chamber of Commerce and formerly served as Vice Chairman of the Orange County Soil and Water District. Commissioner Busch is a graduate of Valencia College and the University of Central Florida where he obtained a degree in Biology. He is a small business owner who has focused on services to the transportation industry that help private and municipal fleets meet their environmental requirements. Commissioner Busch has been a resident of the City of Casselberry since 2017 and lives with his wife, Elizabeth, and their Cavalier King Charles Spaniel, Ellie, on Lake Concord. Commissioner Andrew Meadows is currently serving his second term on the City Commission after first being elected in August 2014 and was unopposed for re-election in August 2018. He had previously served as the Chairman of the Planning and Zoning Commission for two years and was a board member for two years prior. He also served on the Lakes Management Advisory Board as Vice Chair, as well as on the Casselberry Housing Task Force. Commissioner Meadows is a current board member for the Casselberry Chamber of Commerce and also serves on the Seminole County School’s E-Pathways Committee after previously serving on the Vocational Career Committee. Commissioner Meadows is a local business owner and has a degree in Finance from the University of Florida. He and his wife Kim have been Casselberry residents since 2003. Commissioner Aramendia has served on the City Commission since November 2011 when he was appointed to fill a vacancy for Seat #1 after a former Commissioner left before the term was completed. He has retained his seat having been unopposed in the elections of August 2012 and August 2014. Commissioner Aramendia was re-elected to the City Commission in August 2018 and is presently serving his second full term. Commissioner Aramendia is the current Vice Mayor and serves as the City's representative on, and is Chairman of, the Council of Local Governments in Seminole County (CALNO). He is also the current Vice President of the Seminole Cultural Arts Council, Vice President of Casselberry's Friends of the Park, Chairman of the annual "Earthfest" event, a Member of the Habitat for Humanity Seminole-Apopka Board of Directors, a Leadership Seminole #25 Alumni, and a Member on both the Leadership Seminole Government Committee and the Arts and Culture Committee. Commissioner Aramendia previously served on the Casselberry Planning and Zoning Commission for four years, two years as the Vice Chairman, and was Chairman for Casselberry's Housing Task Force. He has been a City resident since 2004.